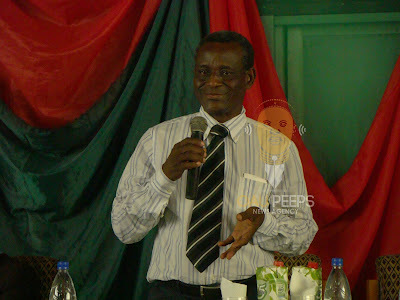 The Acting Vice-Chancellor of Obafemi Awolowo University, Professor Anthony Elujoba has described the coming year 2017 as a year of sustained peace and freedom, even as he appreciates students and staff for the support of his administration. “On behalf of the Management and my family, I wish you all a Merry Christmas even as we enter into a year of sustained peace and freedom in 2017,” he added. The Federal Government has declared Monday 26th and Tuesday 27th December, 2016 as public holidays to mark the Christmas and Boxing Day celebrations. Also, Monday 2nd January, 2017 was declared a public holiday to mark New Year celebration. From all of us at OAU Peeps News Agency , we wish every Great Ife student an amazing festive celebration full of love, happiness and laughter. The Director of the Centre for Distance Learning of the Obafemi Awolowo University, Professor H. B. Olaniyi has revealed the plans of the centre to look beyond its provincial locations and extend its e-learning resource Centres to more cities. While speaking with members of the Task Force set up by the university’s Acting Vice-Chancellor to look into the sharing formula of the Internally Generated Revenue outfits of the university, Olaniyi reportedly said he made a journey to University of Ibadan CDL and discovered that it is running six courses, and had about 14,000 Students. “The Centre is embarking on plans that will within a short time attract Students to the Centre. The Chairman advised the Centre to look beyond the provincial locations but to extend the e-learning resource Centres to Ibadan, Lagos, Port-Harcourt, Warri, Abuja, Jos among others,” part of the taskforce report read. 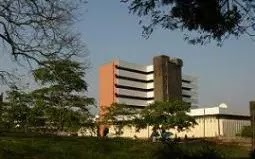 The Centre for Distance Learning (CDL), Obafemi Awolowo University generated a sum of N3,097,220,700 in revenue from its pre-degree programme between 2011 and 2015, the findings of the Vice-Chancellor’s task force has revealed. Sometime in September, the Acting Vice-Chancellor of the university, Professor Anthony Elujoba had set up a taskforce with a view to look into realistic revenue-sharing formula for all the University IGR outfits, including the CDL. In the report of the taskforce chaired by Prof. O. Adejuyigbe of the Department of Surgery, it revealed that most revenue generated by the distance learning centre came from its pre-degree programme. According to the report, application for the pre-degree programme within those years raked in N509,357,100 while tuition fee paid by admitted students totalled N1,514,896,000. Allegations contained in the petition written against the Head of the Obafemi Awolowo University Parks and Gardens Unit, Mr O. H. Ajiteru by some casual workers of the unit are not true and cannot be proved beyond doubt, the task force saddled with the responsibility of investigating the claims have submitted. The Acting Vice-Chancellor of OAU, Professor Anthony Elujoba had requested, through the Chairperson, on 5th November 2016 that the Task Force on Parks and Gardens Unit investigate the veracity of the claims in a petition he received from some casual workers in the Unit and to submit the report along with the initial assignment given to the Task Force. The Senate, Obafemi Awolowo University has described the invitation of the institution’s Acting Vice-Chancellor, Anthony Elujoba by the Economic and Financial Crimes Commission (EFCC) as misplaced and embarrassing. Following the meeting of the Senate last week Friday, the senate said it has reviewed and discussed Elujoba’s invitation by the EFCC, in respect of the payment of productivity bonus and alleged enrichment of himself with N7m furniture allowance. The senate however said, those allegations are not true and unfounded. “…the N300,000 to the Senior and N150,000 to Junior Staff became necessary in pursuit of the general powers and mandate of the Acting Vice-Chancellor as the Chief Security Officer on campus to maintain peace, law and order and to prevent loss of lives and property. Moreso, this similar allowance had been paid to staff in other universities under different names and titles,” a statement signed by the Registrar and Secretary to the Senate, D. O. Awoyemi read.